In 1948 God allowed Israel to become a nation in the midst of howling wolves surrounding the fledgling country. In a land that had been dominated by Arabs for 800 years, Israel sprang up, seemingly out of nowhere. On May 14, 1948, the day the United Nations announced that Israel had been given formal nation status, six Arab nations invaded Israel with the expressed purpose to wipe her out before she could even get her government and army established. So much was at stake. The Arabs had grown accustomed to controlling that part of the world. They assumed it would be theirs forever. 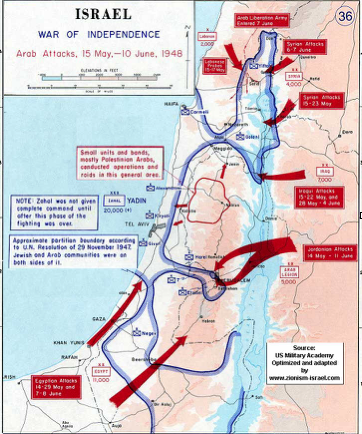 Immediately, within hours of Israel becoming a nation, 1.2 million Arab troops from six countries came against a total population of 800,000 Israeli men, women and children. Anyone who has played the game of Risk knows those numbers don’t work for holding territory. Yet against all odds, somehow Israel repelled the overwhelming forces who came against her, and the new nation began. One of the things they did was drain the swamps, literally, giving Israel much-needed agricultural space. The bottom line is that Israel survived only because the Lord wanted her to survive in order to fulfill Bible prophecy. It was proof that the Creator God of the universe was, is and will always be, in total and complete control. The ultimate result was that after 2000 years of Jews being dispersed and ridiculed around the world, God changed everything in a day. Some 70 years later, in similar fashion, on November 8, 2016, Donald Trump was elected President of the United States. He too was dropped into the midst of howling wolves who surrounded him, fully intent on destroying his duly-elected administration. He too had to drain the swamps. From the day he was elected, the full force of the liberal left has assaulted him with any and everything available. They’re incredulous that they’ve lost control of so much money and power. They assumed that their control of our nation’s direction would be theirs forever. But God changed everything in a day. God allowed, for His purposes, Donald Trump to become President. And President Trump has already done as much, or more, than Ronald Reagan did for Christians. Only the Lord could have arranged such an amazing story. 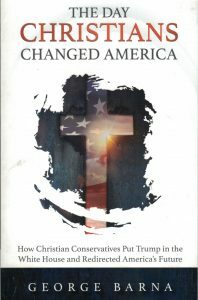 George Barna, the famous national pollster, has released a new book entitled “The Day Christians Changed America.” When you read it, you realize the title could have easily been, “The Day God Changed America,” because using his monthly polling he documents how Christians and their faith were the determining factors behind the inexplicable Presidential election results. It’s a fantastic read for Believers because it shows beyond a shadow of a doubt that God is still in control and used Believers to turn back the openly Satanic assault against God, family and country. Unless you had your head buried in the sand, it had become quite clear that those in charge for the last eight years wanted to detach this nation from its moral base and world prominence. The former administration had done everything within its power to wipe out all Christian influence in this nation. They pushed one anti-biblical theme after another for eight long years. And the nightmare ended, against all odds, only when God used Believers and their underlying faith to change the direction of America in a single day. Donald Trump is now the captain of our ship and is exposing the most unimaginable atrocities perpetuated on Christians in America by the last administration. How long this reprieve will last is up to the Lord, but in the meantime, we pray for God’s protection of President Trump and his administration. And we thank the Lord the election didn’t turn out differently. 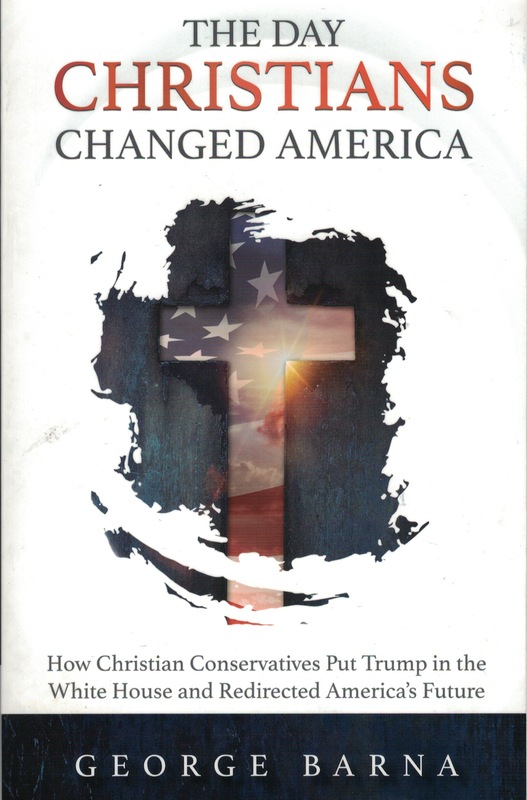 And if you want to see what was FACTUALLY behind the presidential election, order George Barna’s book from Compass: The Day Christians Changed America. It’s so captivating for Believers I practically read it all the way through without stopping! CLICK HERE to order “The Day Christians Changed America” and save $5 off the retail price. 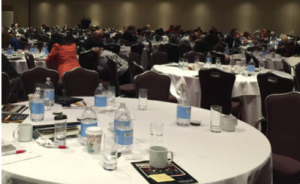 Within the pages of Barna’s book are several references to the invitation-only meeting I attended with other Christian leaders in June of 2016. Barna says that meeting was a turning point in the Presidential campaign. I believe him. I wrote about the meeting that evening in my hotel room. I was exhausted from a long but exhilarating day, but managed to bang-out the post for Facebook before I fell asleep. I was motivated because at the end of the meeting I had just witnessed most of over 1000 Christian leaders, dressed in suits and skirts, get down on the floor of a hotel ballroom to pray for our nation. I wanted to share that incredible moment as best I could. And as I was leaving for the airport the next day, I glanced at the post and was dumbfounded to see it already had over 200 SHARES. Amazingly it was eventually shared over 2,000 times between the original Compass Facebook post and my personal Facebook page. And as we now all know, the Lord allowed, or maybe even orchestrated, an amazing power shift in our political landscape. For whatever reason, He didn’t want those Satanic left-of-the-left liberals to take over just yet. Thankfully He’s given us this temporary reprieve from an undeniable march toward world government. I remember before the 2016 election that I was thinking the Rapture had a chance to happen during that particular September’s Rosh Hashanah. It’s humbling to know that since then, countless people have been saved from the coming Wrath of God. And millions of babies have been born—eternal blessings from God. So God’s delay is good in a lot of ways. Our patience is necessary in these last days, until God’s timing for that fateful moment of the Believer’s departure is upon us. And thankfully our time-extension includes President Trump’s unlikely election. Otherwise a lot of us might be witnessing from prison! So get this book about the untold story of how God used the faith of Christian Believers to change America’s direction. I know you’ll enjoy it as much as I did.